This Christmas, the Mediterranean Culinary Academy will be hosting a holiday cookie class for children. Led by chef Debbie Schembri, this is the first MCA cooking workshop of its kind, which is aimed at both parents and children. The single session workshop will teach children how to bake carob and ginger dough cookies – a festive favourite – together with a delicious mascarpone filling. Both adults and children will learn the effects of ingredients on the final flavour of a biscuit, and how to select the right ingredients to achieve the desired, mouth-watering result. In addition to this, they will also learn how to make royal icing, and how to create lovely designs using a piping technique. “This class is an opportunity for children to experiment with cooking and enhance their creativity, in a fun and educative environment alongside someone they’re close to,” says Schembri. This unique class is a wonderful way to spend time with your children and bond over the festive season, while encouraging creativity and learning new skills. 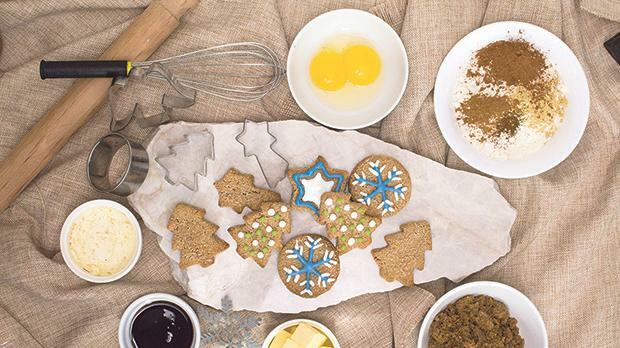 The MCA Parent and Child – Holiday Cookies workshop will take place at The Pod, located within the Spinola Park Complex in St Julian’s on December 27 and 28 from 10am to 12pm. The recommended age for children is seven plus, and you can apply through www.mcamalta.com.